Amber Portwood says her daughter was "so excited" to meet baby James. 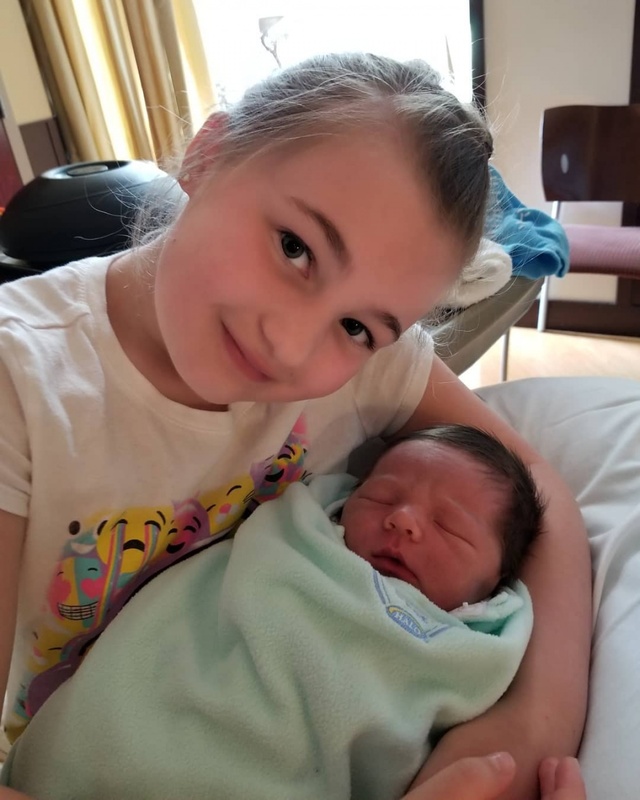 The 27-year-old television personality shared a cute photo Wednesday of 9-year-old daughter Leah Leann holding James, Portwood's newborn son with boyfriend Andrew Glennon. The picture shows Leah smiling for the camera as she cradles her sleeping brother close. Leah is the daughter of Portwood and her ex-fiance, Gary Shirley. "Big Sis and little James! She was so excited to meet her little brother," Portwood captioned the post. The Teen Mom OG star gave birth to her son Tuesday. She previously told OK! magazine Leah was looking forward to having a baby brother. "I can tell she's getting antsy for the time to come. As long as she's happy and excited about it," the star said in April. Portwood and Glennon started dating in 2017 after meeting on the set of Marriage Boot Camp, where Glennon worked on the show's crew. Portwood told E! News in April she and Glennon aren't in a rush to marry. "Right now, we're happily living together and seeing where everything goes," the star said. "Obviously, we jumped the gun and we're having a baby, but I don't know. He drops little hints here and there about things, but we haven't necessarily talked about it," she added.